Many Bleach fans have been able to get their hands on a copy of Bleach 653, like last week, the chapter seems to be a little late, therefore I will be covering the chapter based on fan written content online. Along with this, there are a few images alongside this chapter which are seen below. 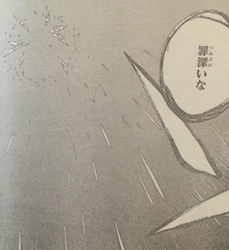 Bleach 563 is titled “The Theater Suicide Scene 7, the chapter begins in the past with Shunsui as he watches his brother and wife (Nanao’s mother) as she mentions that the hairpin is enough, as she leaves one hairpin to her husband, using it as a way to encourage him while she is away from him. Shunsui teases his older brother, this is when his brother blushes. During the present, we see Nanao get experience cutting and being cut for the very first time against Lille. It hurts her, this is when Shunsui appears and supports her. She feels bad that she’s never been able to be of use and thus wants to do something worthy, this fight will give her a resolve to fight and win. The battle continues against Lille as he creates a large trumpet like attack, apparently called the “God’s Trumpet”, he talks about evil. 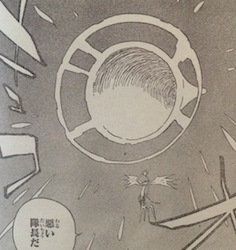 The last scene shows the footprints of Shunsui and Nanao while Lille has been cut and is falling back to the ground. Seems to be that Lille has been defeated, but is it over? 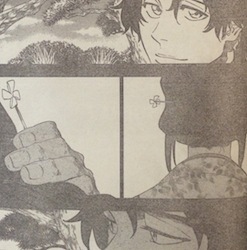 That’s basically a little summary of the chapter, seems to me that Nanao finally has her resolve back, and after being cut a few times, Nanao has gained some series strength. For now, the preview is all we have, the chapter will be out later today or tomorrow. I wonder what would have happened if Ukitake was there. Would his reflect sword ability reflect Barro’s attacks, and seeing that he was a partial God because of the left hand of the soul king being a part of him. Also him being a noble could have meant that he knows some sacred weapons to kill gods. This chapter needs to end, and disappointed that the capt-commander had to fight this long. Just makes u wonder how Yamaji beat young Bach back then. I don’t think that itd make a huge difference if Ukitake was there or not. Ukitake might have the hand of the God, but Lille just calls himself a God which I don’t think means what we think it means. Lille is probably dead. Though I wouldn’t be surprised if he comes back. If not the next chapter, than much later like Pernida. I really hope he gets a flashback. Why isn’t bleach 653 out ? And why r Bleach chapters so late now a days. I think it might have been because people who release chapters online are being put in jail because of it being an illegal act and all. There was a report a week or so ago. I’ve heard of that. 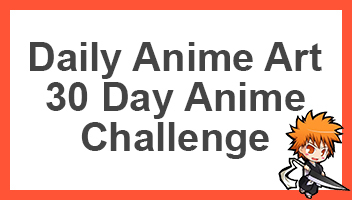 I can understand that people need their weekly fix of their favorite manga, but they really shouldn’t do this. I don’t mind waiting. He might have been cut in a bad position, but I really think he’ll be coming back soon, as you said for a flashback probably. Sense the only Quincy being focused so fair other than the main three (Yhwach, Jugram, and Uryu) the Schutzstaffel should all get flashbacks. Lille needs one cause personality wise he is kinda boring. He’s probably alive but severely injured like you said. Yeah, I can’t imagine his backstory. Maybe something like he was poor and he was found because of something special he had, or Yhwach saw potential in him or something. That’s a possibility. I assumed he was an original Sternritter because he’s one of the strongest Quincy. But he said he was the last Quincy to join the Wandenreich and gain a Schrift and Vollständig from Yhwach. It’s probably something like that. He was poor and didn’t feel like he had any potential. Sense Yhwach gained his powers back by using Auswählen on all the half blood Quincy 9 years ago, maybe that’s when Yhwach started recruiting more Quincy. 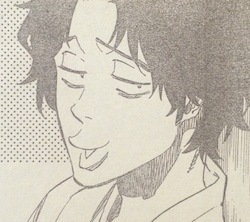 So far, the Quincy that are not original is As Nodt, Royd and Loyd, Gremmy, Guenael Lee, and Uryu. And now Lille. The Quincy that are original are Yhwach, Pernida, Jugram, Robert, and Bazz-B. I believe a few Sternritter are original sense Bazz-B is one. Like Liltotto, Giselle, NaNaNa, Meninas, and Candice. Maybe even BG9 and he was called BG1 or something. Remember Qulige Opie? Sternritter J The Jail? He had alot of information about the Quincy so I believe he’s original too. Oh and the Sternritter Yamamoto killed Zeidritz, Algora, and Hubert. Ohh yeahh, definitely seems legit. Surprising how many Quincy’s we’ve encountered hah. Its been three years and almost four for this arc. Alot of characters have been introduced. Personally I would have liked it if Kubo didn’t rush in this one and show case more Sternritter instead of a handful. I think he’s planned it very well, and the pacing he chose is most likely perfect for what he wants to deliver. I think for a few key fights he’s done his best to slow them down to Bankai’s and stuff like he did with Mayuri, Shunsui, Zero squad etc. Well with the Shinigami he has done very well. Its more like how he has rushed with Sternritter. Only a few of them have had proper fights. And the off panel fights and defeats are a sign of him being rushed. Other than that this arc has been amazing. I believe it is delayed but it will be released tomorrow or this weekend.